Hackers have stolen 2 million tonnes worth of carbon credits after unauthorized access was gained to the European Union’s carbon emissions trading system. The trading system is aimed at mitigating climate change. The stolen carbon credits are currently worth millions of euros, at around 14 euros each. An investigation has been launched to try and ascertain whether any insiders from companies or servers were involved. Around 80 percent of trades are for long-term yearly quotas, but some are for more instant credits, for companies who need to buy credits quickly. These involve instant payments. Hackers are able to open an account in the scheme, make the transaction, and then close the account as soon as the transaction has occurred. The carbon credit theft was unveiled after Brussels shut down 27 national trading registries for a week. Credits stolen from the Czech Republic alone were worth 7 million euros. Other countries included Austria, Estonia, Greece and Poland. Germany was not one of the countries involved in the attack, as it had tightened online security after a previous attack. The EU Emissions Trading Scheme (ETS) is the largest emissions trading scheme in the world, and is setting somewhat of a precedent for other trading schemes worldwide. 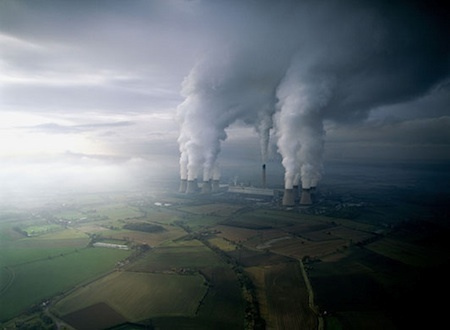 The EU Emissions Trading Scheme allows about 12,000 companies to trade rights to emit greenhouse gases into the atmosphere. The hackers have certainly revealed some obviously inadequate online protection in the system. Perhaps this will hasten the move to strengthen online security within the emissions trading scheme. Easier said than done. Brussels wants to have central control over the system, but it depends on 27 different countries who are unable to agree on international online security standards. The EU Emissions Trading Scheme is due to reopen again after the breach on 26 January, but only to those countries that have sufficient, reinforced security, according to an EU Official. Next post: Is Your Cocaine Use Killing Colombian Rainforests?